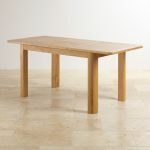 Dine in style with the Romsey extending dining table. Great for modern family dining rooms, it has a simple style, with rounded corners, and subtle cut detailing on the top. The 100% solid oak construction means that it will stand the test of time, comfortably hosting family meals, holiday dinners, and more through the years, and the easy to use extending mechanism adds flexibility. 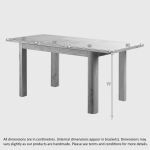 The hidden extending panels will allow for a larger table area, perfect for when guests come calling! 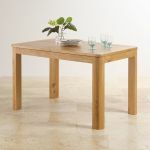 The oak has our beautiful natural finish, which protects and nourishes the wood, and brings out the grain pattern. 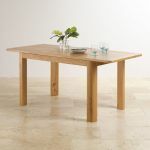 The table boasts a warm and natural feeling, that will be treasured over time. 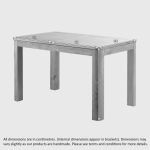 Don't forget to browse the rest of the Romsey range to find more coordinating dining room looks you'll love! 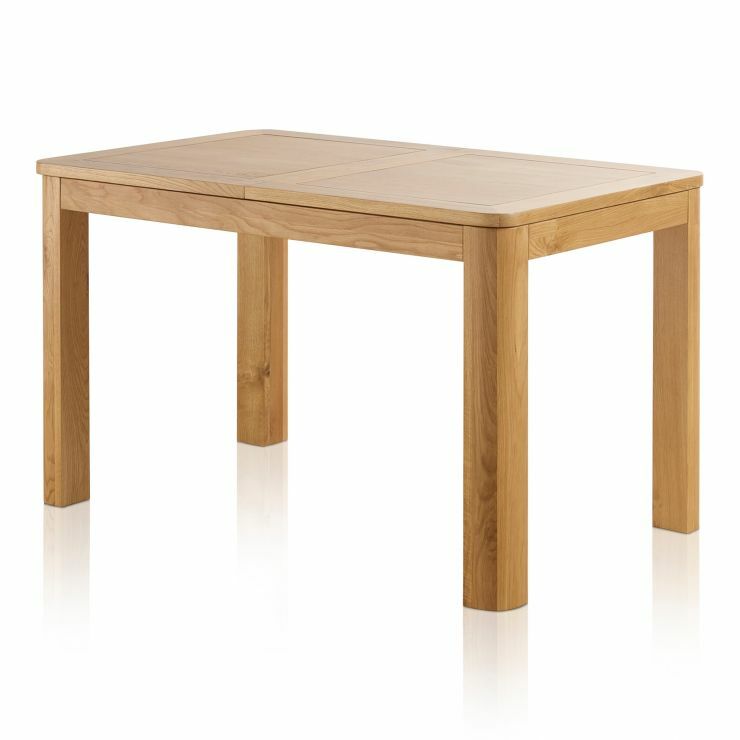 Choose this table with 6 chairs from only £799.00!